Alex Ikonomidis was born in Lebanon, to a Lebanese mum and a Greek dad. That's where he grew up, studied and held his first jobs until his army obligations brought him to Greece where he remained. He worked in television and production companies in Greece and abroad during the good days of the industry and later witnessed its decline. 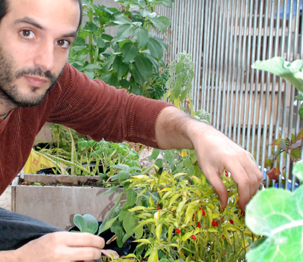 When one morning he was proudly showing his friends the rocket he had planted on his balcony in Maroussi, little did he know that a few years later, all of his time and energy would be dedicated to the preservation of heirloom seeds, informing the public and producing a documentary that would explain the problem regarding seeds and offer solutions. Ioanna Nissiriou was born and raised in Athens but moved to the UK to study film and forgot to return. Eight years later, she remembered, but upon her return, apart from old friends and work, she also found a derelict garden waiting for her in her paternal home in Melissia. Very slowly and with the help of good people, the garden turned into a wander of flowers. Thankfully, her dad, a practical man of a different era, insisted on planting edibles and that's how Ioanna's romance with urban architecture began. 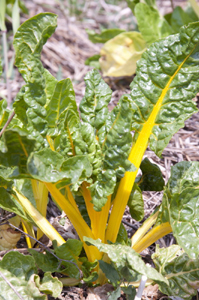 Since then her family's brushes with cancer have given her the incentive to cultivate antioxidant plants and today the garden provides the household with important nutrients, most of them from heirloom varieties. Nine years later, the edibles -most of them from heirloom varieties- have taken over the whole garden and Ioanna will soon learn how to select and keep seeds for next year.